AlpineMojo Verbier & AlpineMojo Nendaz present their new logo for winter 2019! Ski Lessons in Verbier and Nendaz Switzerland. AlpineMojo Verbier and AlpineMojo Nendaz are pleased to present their new logo for winter 2019. 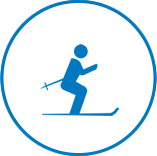 We believe in constant progression both on and off the slopes. For our instructors this means improving their own technique and methodology for teaching. For management it means strengthening areas of weakness; and to work better as a team to ensure we develop each area of the business. Ultimately, making certain that we are delivering a high quality product that we are proud of. In order to better connect with our clients, we have reassessed how we communicate, and particularly, how we can update the booking experience with AlpineMojo. 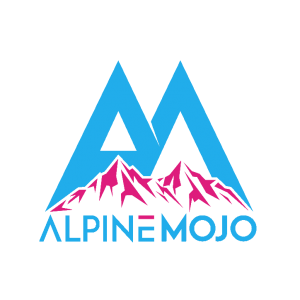 We feel that the new logo better represents the AlpineMojo brand. As a young team, we believe we have a fresh and forward thinking approach to the industry, which is reflected in the fun and contemporary style of the image.